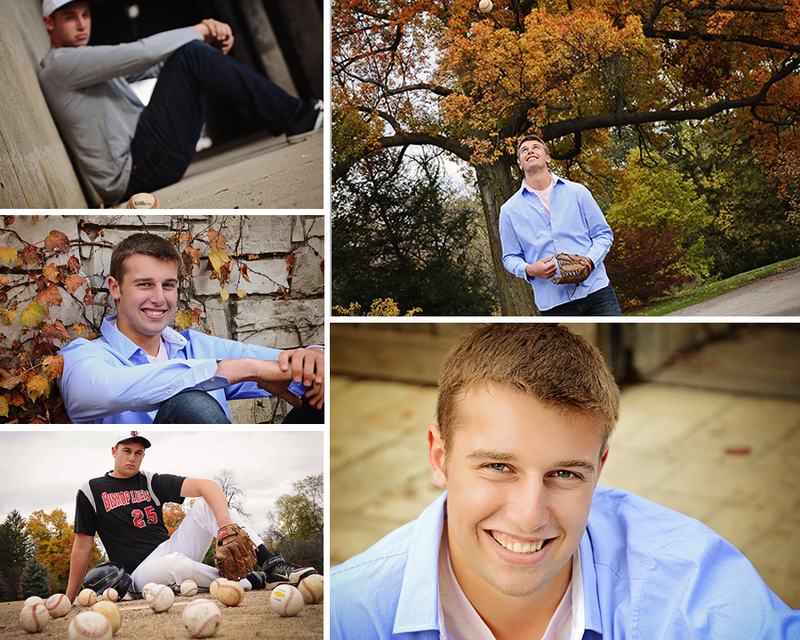 Thanks for a great session and my lesson on baseball stats 🙂 Most of my senior guys are in and out; your patience allowed me to try some new ideas and your senior pictures turned out great. Can’t wait for the basketball session! 1. Select one piece of clothing that has a pattern (usually this is one of the children). From that patterned piece pick some colors you like or have in your closet. These colors will be what everyone else wears. If there is more than one child you can put the other child in a pattern too, but make sure it matches in color. 2. Pull pieces from your closet for each family member, lay them on the floor and photograph them from above. Come back to the photos is a couple of days to see which set of outfits stands out to you as your favorite. As you can see by the images below, I had three different sets of outfits picked out. 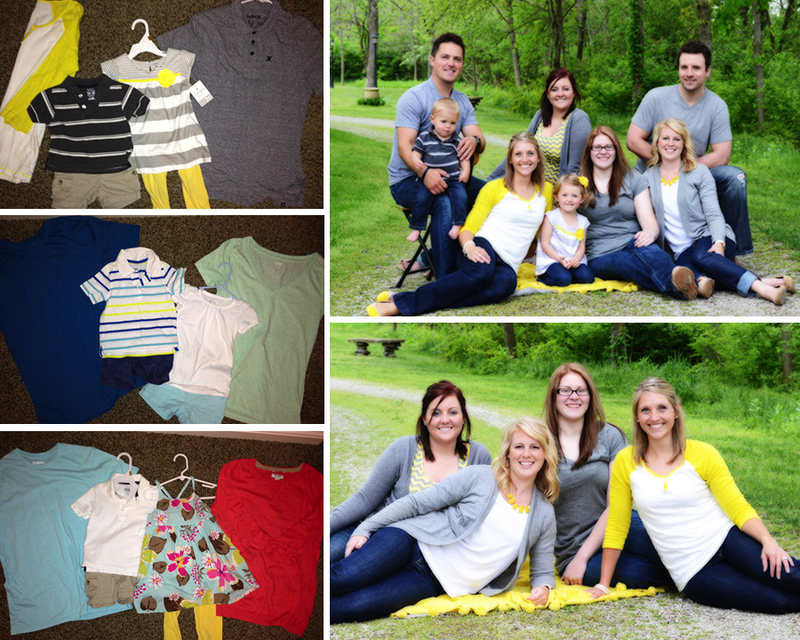 I sent these to my other family members and they chose the grey and yellow color scheme and dressed accordingly. 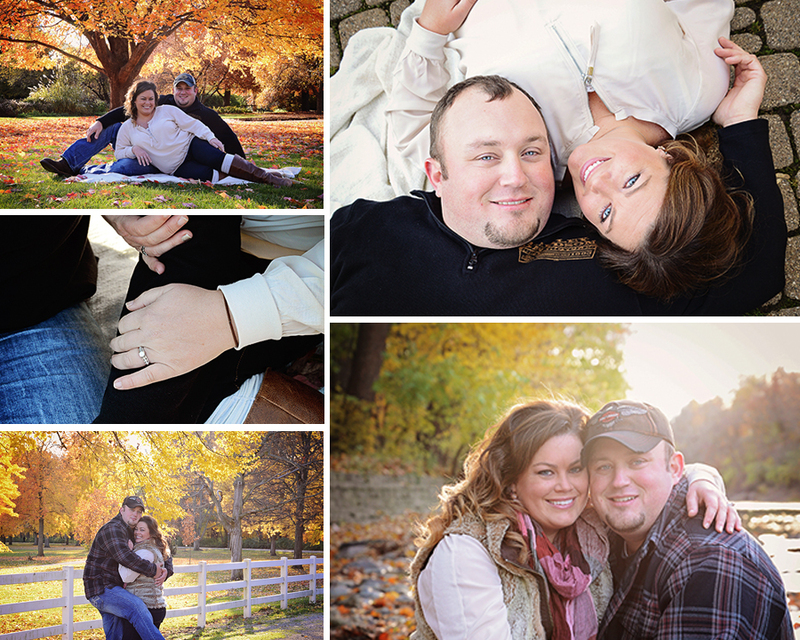 The photos on the right is the finished image…not too bad! Variety but not chaotic. If you are ever in doubt send me your images and I can help you make a decision or give you some suggestions on what to wear for your family photo. 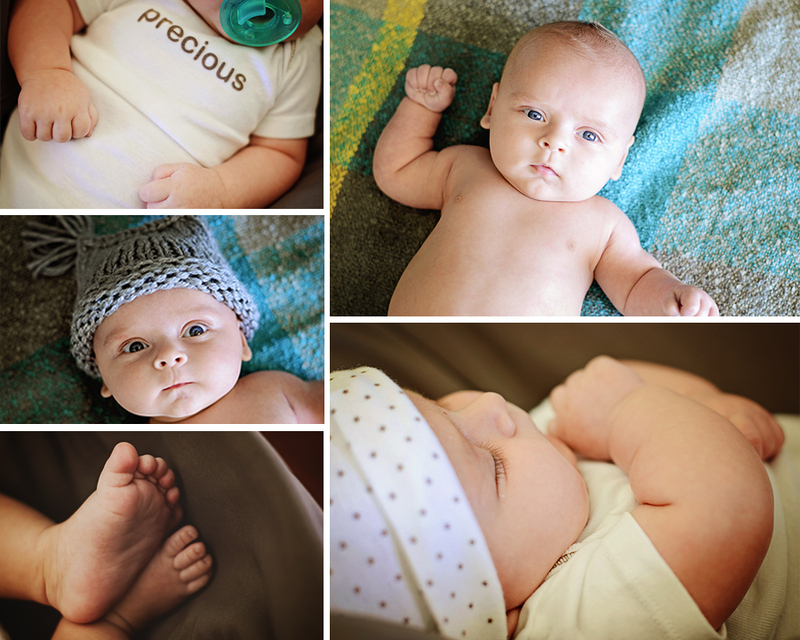 8 week pictures can be a challenge with the wondering eyes and jerky movements, but little Braylen worked the camera like a pro! What a cutie. 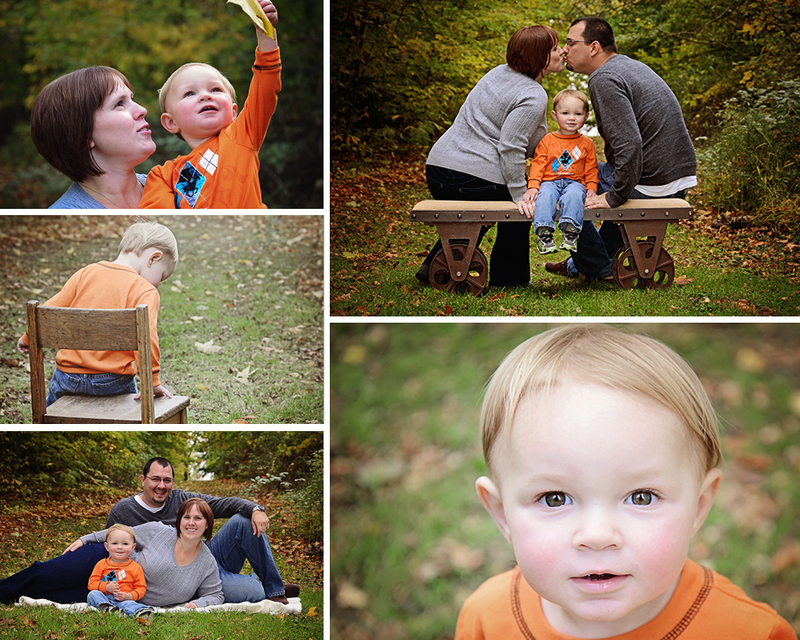 Karon, I hope you enjoy your first grand baby and his portraits. Thanks!